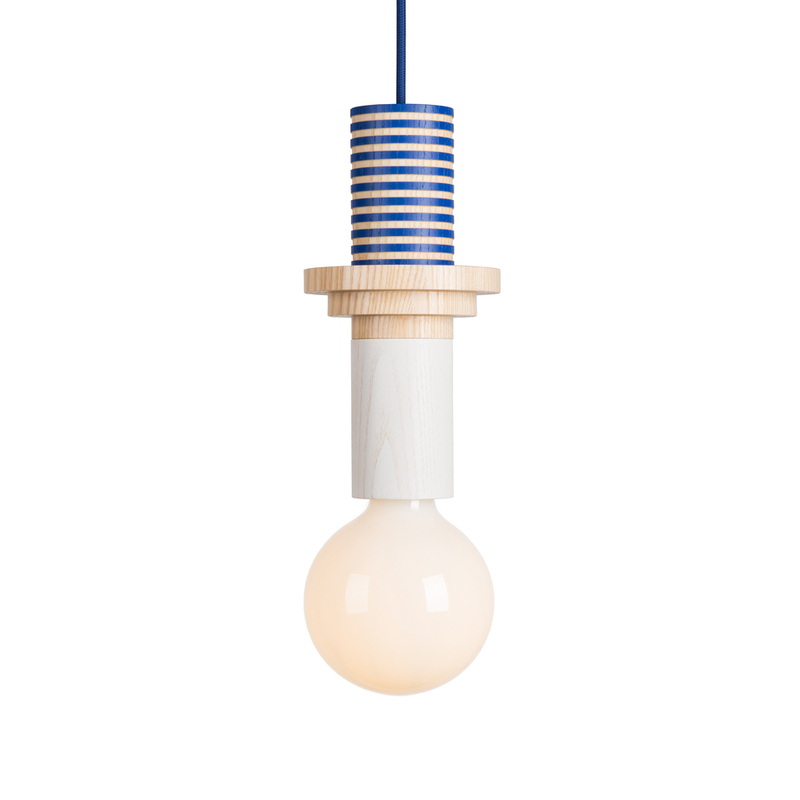 We are very proud to launch our new Junit lighting today in our online shop. Junit is a modular pendant lamp that consists of 8 different elements. The very pure and clear units are turned from high-quality ash wood and painted in a German Workshop, not far away from our own studio. They come in a natural, clear finish or each in a different color. 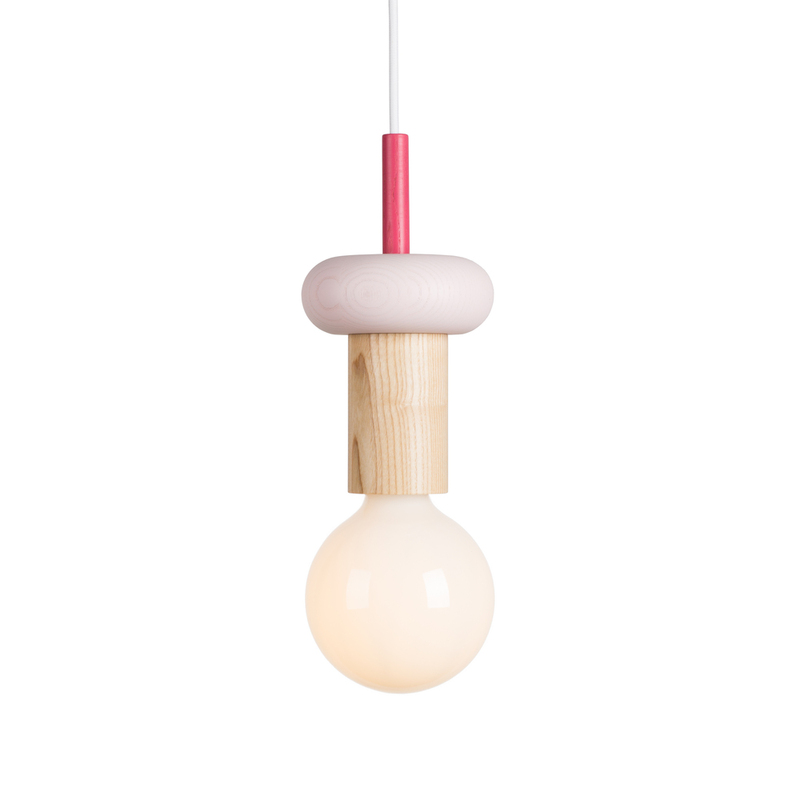 The bulb complements the colorful lamp with its oversized, milky glass that produces warm, ambient light. To complete the individual look of the lamp, the user chooses from 8 different texile cable colors. We created 5 versions of Junit lamp according to our own aesthetic sense of form, that are available as curated variants in our online shop.